Cultivate seeds of hope that will last a lifetime: Plant a tree in the highlands of Guatemala in memory or honor of a loved one or friend while supporting local communities. 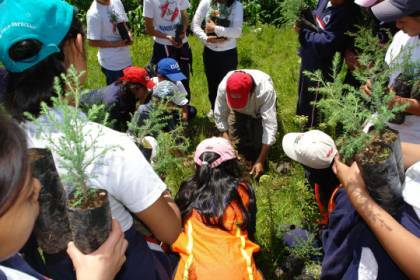 Trees will be planted in the area of Labor San José in Quetzaltenango, Guatemala and help support both the work of GHRC and also ecology, garbage and environment talks to the children in the public school located in Quetzaltenango. The project began in 1989 in response to high rates of deforestation, erosion, excessive logging, and forest fires. Currently, the reforestation projection raises over a hundred thousand trees every year of local species such as alder, cypress, pine and eucalyptus. The trees are planted with the help of local schools, people from the community around the nursery, foreign volunteers and special activities that are organized to promote the care of nature. This activities are made during the months of May through August which is the rainy season and helps the trees to survive. 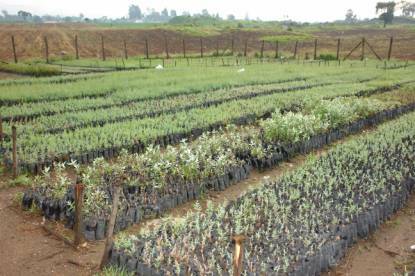 However the nursery is working all year long, with recolecting seeds, transplanting and taking care of the trees that have been planted before. The reforestation project is financially supported by ICA Language Schools. 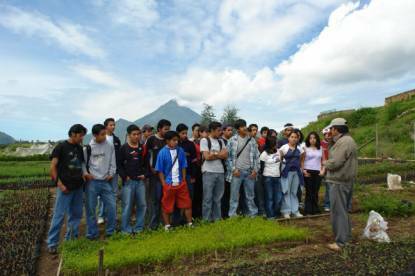 The project is coordinated by Guatemalans and addresses the needs of the community. The cost is $15 per tree. Please email ghrc-usa@ghrc-usa.org or call (202) 529-6599 to order trees. Supply name and address of the person for whom the tree will be planted, whether it is in memory or honor, and a payment method. Thanks to ICA for the photos!